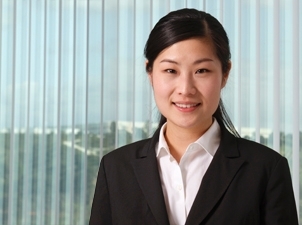 Karen J. Wang focuses her IP law practice on patent preparation and prosecution, post-issuance proceedings, patent appeals, and patent portfolio development and management. She has worked with clients ranging from multinational tech companies to midsized and small companies and individual inventors. Karen regularly collaborates with foreign counsel in prosecuting foreign applications and domestic applications for global clients. Her experience also extends to product clearance analysis and trademark registration matters. Prior to joining Fitch Even’s San Diego office, Karen practiced IP law for several years at the Silicon Valley offices of a large international corporate law firm. While attending law school, she served as an intern to Judge Mary Milloy, federal magistrate judge for the U.S. District Court for the Southern District of Texas. Karen is fluent in Mandarin Chinese and Taiwanese. Google Inc. and Apple Inc. v. ContentGuard Holdings, Inc. (PTAB 2015). Member of the team that represented ContentGuard in 35 inter partes review and covered business method proceedings. After submission of patent owner preliminary responses, obtained PTAB decisions denying institution of trial in all but one proceeding. Represents multinational retail corporation in the expansion and development of an industry-leading patent portfolio. Represented a top defense industry company in complex inter partes reexamination proceedings involving multiple petitions and appeals. Obtained favorable outcomes for all challenged patents. Prepared and prosecuted patents for several divisions of a leading multinational technology company. Successfully procured client’s trademark registration through cancellation proceeding.